Did you know radiant heat dates back to ancient times? The Romans - or rather their slaves - tended wood-burning fires beneath elevated marble floors to keep the Romans warm and cosy. And today, radiant flooring isn't just popular because you no longer have to listen to the clang of pipes and heaters. But also because it is energy efficient, turning entire floors into toasty radiators without the hot and cold pockets, all while saving you money. Electric systems are installed directly beneath floor coverings, working independently from your central heating system, making them ideal for single-room installations, or for existing sub-floor levels. With ultra thin (around 3mm) wires or matting systems, different floor levels shouldn't present any problems to existing rooms. Wet systems circulate warm water through plastic pipes installed directly underneath the floor while connected to the main central heating source. This system works best with pipes embedded in a screed because this helps the heat dissipate, making it better suited to new floor constructions where the sub-floor can accommodate the pipework and cement screed. Wet systems are more typical in new construction, extensions or major renovations. Can I use underfloor heating with carpet? Are you are wondering if you can use underfloor heating (UFH) with carpeting? Well, you certainly can but you need to be careful if there is thick padding underneath and if the floor is too well insulated because this will prevent the heat from even dispersal. However, with that said, here's how to ensure your carpet combined with UFH keeps your family's tootsies extra warm. If your plan is to install underfloor heating with carpeting, you basically have two choices. If you have an existing property, you'll want to go with low voltage electric. For a new property, you can choose between low voltage electric or hydronic radiant heat. Over the long haul, lower costs go with the low voltage system because pros are generally needed for installing and maintaining hydronic radiant heating systems. You might be concerned about combining heat with potentially flammable carpets and padding but this combination is safe if you have used the proper materials and have done a proper install. Select low thermal resistance underlay (the fabric between the floor and carpet) and hessian backed carpet. Avoid felt because besides creating a thermal blocker, it can also diminish performance. Hessian backed carpeting is ideal because it promotes efficiency. Ensuring that the floor temperature doesn't go above 27 C is vital. Temperatures above 27 C increases the risk of fire so install a thermostat to ensure this doesn’t happen. Insulation is another important factor; your subfloor or concrete base must be properly insulated for your system to work efficiently. Warmup insulation boards or warmup insulated underlay provides the system with the best heat transfer into the rooms and beyond. Effective heat transfer requires that you pay attention to the limit values. Basically, everything above the actual heating (including final floor finish/underlay) must be within set limits and the overall value shouldn't go above 2.5. The R (resistance) value shouldn't exceed 0.25; the tog value must not exceed 2.5, and it's vital that the U-value be less than 4.0. Not adhering to these guidelines means the performance of your system will be diminished. Well-insulated carpeting is going to reduce the effectiveness of the heating apparatus. However, according to tests carried out by the Underfloor Heating Manufacturers’ Association, carpets and underlay with a combined rating of 2.5 Tog can be used with underfloor heating without impairing its efficiency. So, choose carpet and padding with a combined R-value below 2.5. Try to avoid prime or bonded polyurethane pads. Cork and rubber-backed are recommended. When placing carpeting over concrete, consider placing insulation between the concrete and the carpet pad and try to avoid using prime or bonded polyurethane pads. 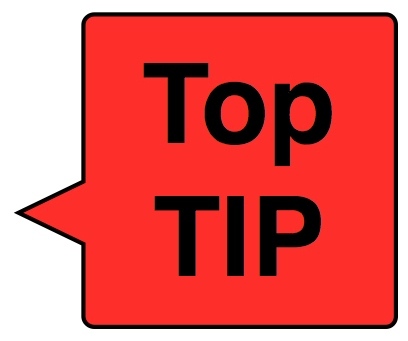 When installing underfloor heating under carpet, make sure the heating element is placed directly over and above the thermal insulation but below the carpet padding.